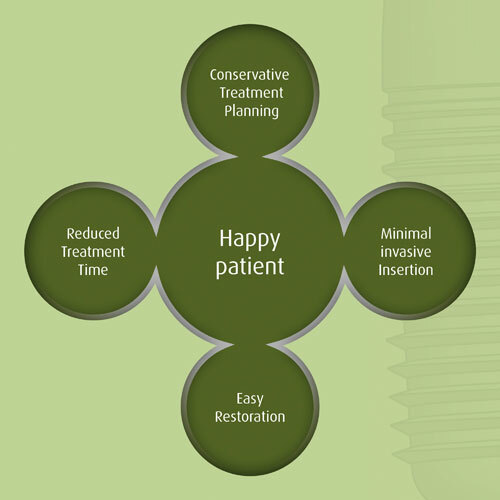 The NaturalLock Dental Implant was specifically developed to simplify the use of implants. More than 10 years of clinical and histological research has been done on the unique abutment design and the biologic surface structure. A team of oral surgeons, periodontists, general dentists, laboratory technicians and engineers have combined their knowledge and experience to develop this innovative implant. The Global Academy for Biologic Dentistry is proud to endorse the next generation of Biologic Implants. The future of implantology rests on a biologic, predictable and minimally invasive treatment option for tooth replacements. The product is manufactured by ZL Microdent. ZL has been manufacturing implants since 1992 and is the quintessence of German quality.